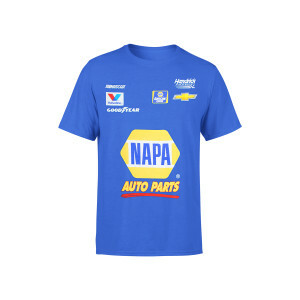 Your youngster can show off his love for fast cars and Chase Elliott with this NAPA uniform T-shirt from Hendrick Motorsports Team Collection. With eye-catching Chase Elliott graphics, he can showcase his NASCAR pride. The Napa Chase Elliott shirt is excellent, high quality. My son absolutely loves it. I would definitely recommend it.